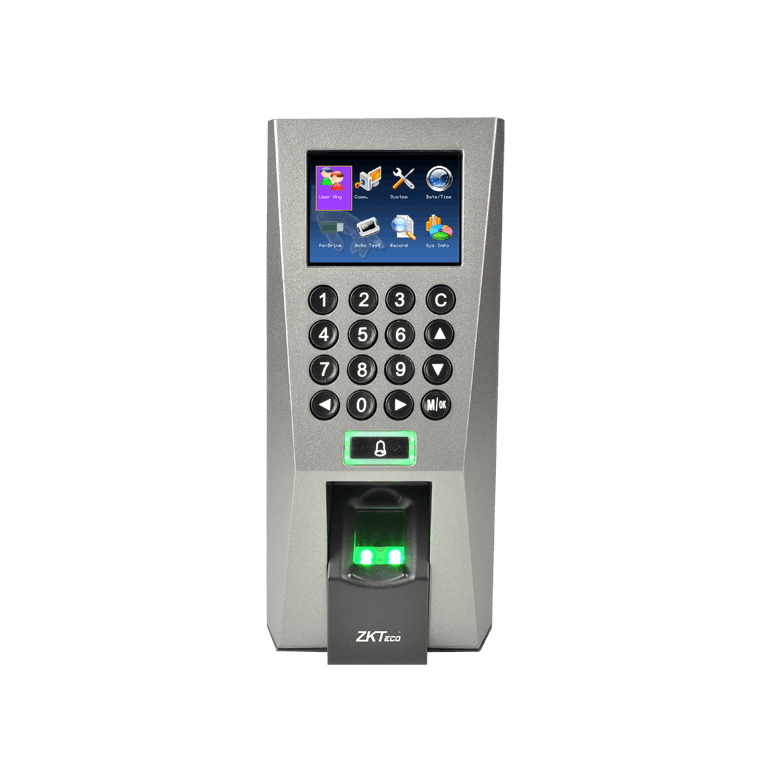 ZKAccess Systems are built on flexible, open technology to provide management, real-time monitoring , and control of your access control system-all from a browser, with no additional software to install.Our secure Web-hosted infrastructure and centralized online administration reduce your IT costs and allow you to easily manage all of your access points in a single location. C3 series' versatile design features take care of present and future needs with ease and efficiency. 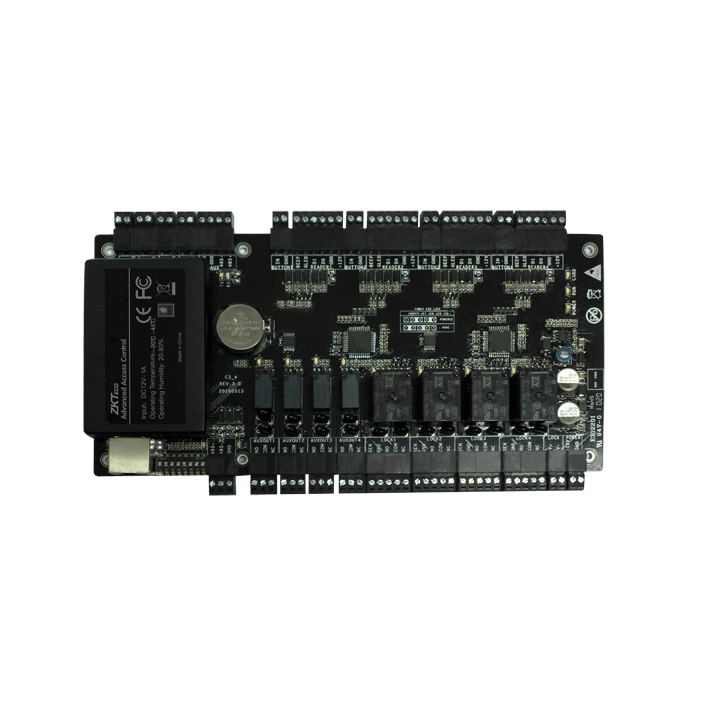 It is one of the most rugged and reliable controllers on the market, with a multitude of built-in features.The C3 series control panle can communicate at 38.4 Kbps via RS-485 configuration or Ethernet TCP/IP networks. It can store up to 30,000 cardholders. SDK (Software Development Kit) is available for the customer to integrate the controller into existing access control software or to develop new software. S1, S2, S3 mode switch for different requirement. 144 x 64 LCD Display and 16 keys with White Backlight. 16 keys with white backlight.Built-in 2 relays for open door and external output (24V/5A). Built-in a reader and an external reader port for exit or anti-pass-back. 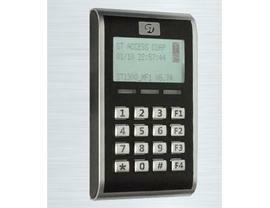 Alarm Function is available(tamper, Force entrance, Door open too long, Duress). 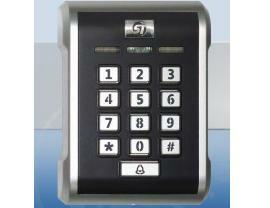 Dual function to control Electric locks and setting security machine. Use Master Card or Master Code to enter edit mode for easy and quickly setting. Keypad will be locked for 30 seconds while continuous error operation. Door unlock time setting, latched-on/latched-off or momentary 0.1-600 seconds. Reading ISO14443a type Mifare smart card serial numbers. Card can be added/deleted/inquired by key-in or read-learn-in directly or PC/Laptop. Doors unlock time setting, Latched-on/latched-off or momentary 0.1-600 Seconds. Individual System Code and Anit-Copy by Mifare Programmer. 13 keys with white backlight. An Independent button for connect to door bell. Built-in 2 relays for open door and external output (24V/5A). Built-in a reader and an external reader port for exit or anti-passback. Alarm Function is available (tamper, Force entrance, Door open too long, Duress). Individual System Code and Anti-Copy by Mifare Programmer. 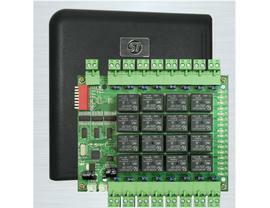 Connect with RS48516 sets control point of floor. It can be simultaneously connected with maximum of 16 elevator controllers for any buildings which exceed 256 floors.